Everybody knows about the mythic Casablanca, the crowded Marrakech and the picture-perfect Fez, but Morocco is currently finding its new gem. 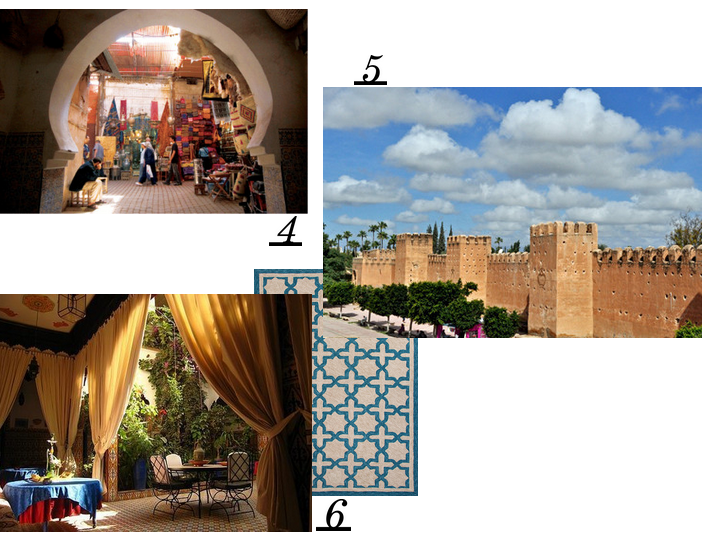 The connoisseurs’ new favourite spot, the exotic Taroudant, is full of places to see and things to do, providing colourful memories and eclectic inspiration. Enjoy a hike on the Atlas Mountains. The experience is nothing less than captivating, where powerful nature, moody skies and the majestic moroccan tradition and architecture meet when your steps take you through hidden gorges and small villages built next to quiet rivers. Pamper yourself at La Gazelle D’ Or, an elegant 30-suite hotel set on a ample estate with beautiful rose gardens, a gourmet terrace restaurant mastering local delices and luxurious treatment to make you never wanna say goodbye. Wondering what to pack? You will be well equipped with long kaftans to fight warm weather and humidity while also remaining chic and stylish. Bring anything ethnic, from jewelry to make-up products and of course don’t forget your MITOS swimwear from our Moroccan Mosaic collection! Don’t leave without shopping in Taroudant’s traditional souks. Don’t pass by all those amazing kaftans, jewelry and ethnic shoes, as well as spices and herbs of variety and intensity you will find nowhere else in the world. Or else you will regret it. Taroudant is world-known for the reinforced mud walls that surround the city. Don’t miss taking a stroll in the late afternoon to see them change colours as the sun sets. Live an authentic moroccan culinary experience in Riad Maryam restaurant, savouring the very best of local dishes, zested with notes from its homegrown citrus fruits.